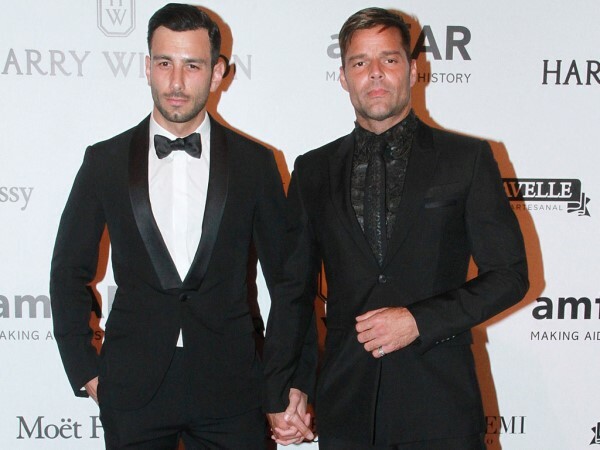 Ricky Martin and Syrian-Swedish artist Jwan Yosef are engaged. Ricky and his conceptual artist beau have been together officially since January but have known each other for more than a year, meeting after Ricky started to collect Jwan’s work. Prior to finding love with his fiance Ricky, who came out in 2010, became a dad to sons Matteo and Valentino, born by a surrogate mother in 2008. “Yeah they love each other, it’s been perfect Ellen. It’s been really special,” he gushed. News of his engagement wasn’t the only exciting thing Ricky had to share with his fans; the 44-year-old also announced he’d be starting a Las Vegas residency. While no dates have yet been confirmed, tickets go on sale on Monday. He also invited all of Ellen’s audience members to his new Sin City show, with Ellen explaining they’d all be gifted with tickets and a two-night stay in Vegas hotel the Monte Carlo Resort and Casino.